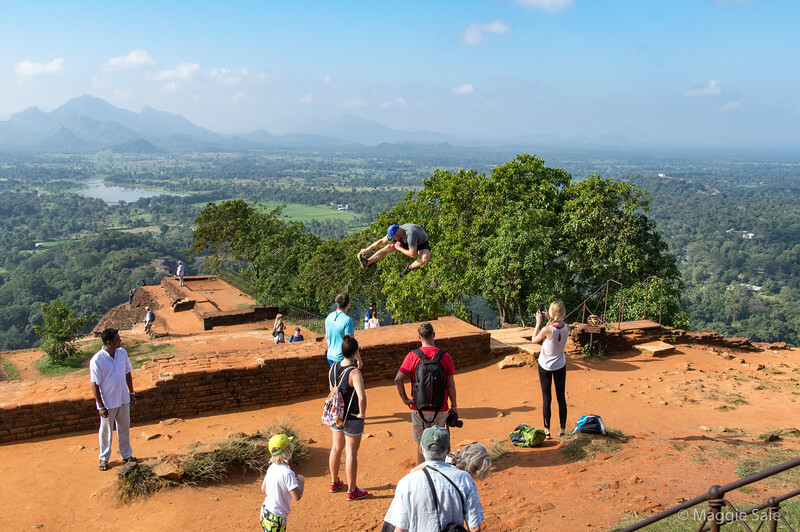 We toured Sri Lanka for 16 days in February, 2018 with a great driver - Sam (we had been warned not to drive ourselves if we value our life - it's true!). Sri Lanka is rich in history, with tea plantations in the beautiful hill country, wonderful wildlife and beaches and lovely friendly people. The images are shown in chronological order. Comments below large images. Fabulous views in all directions from the top of the rock. Large King's palace spread out, even a pool not shown on the left. Very hazy on many days during our stay in Sri Lanka, which was a pity as it made landscape photography a challenge. This photo taken before 9.00 a.m.!! A crazy Instagrammer being photographed!